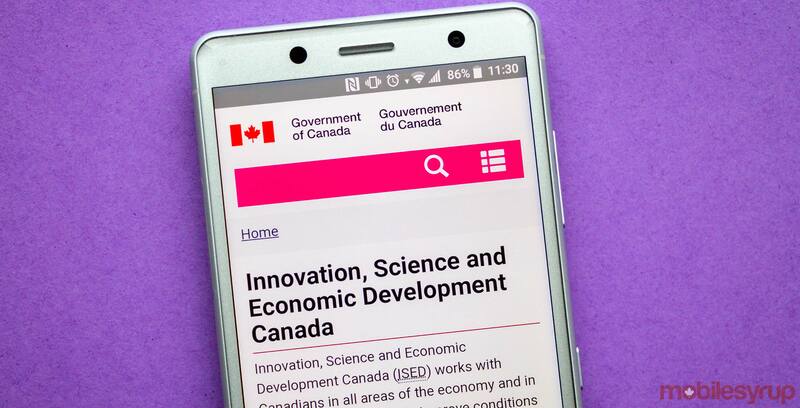 The federal government is now contacting families eligible to participate in Innovation, Science and Economic Development Canada’s (ISED) ‘Connecting Families’ initiative. According to a November 16th, 2018 Rogers Communications media release, families who currently receive the maximum Canada Child Benefit allotment will be randomly selected to take part in the program. Innovation minister Navdeep Bains formally unveiled the Connecting Families program at the 2018 Canadian Telecom Summit, announcing that up to 220,000 low-income families would be eligible to participate. At the time, Bains said that Bell, Cogeco, Rogers, SaskTel, Shaw, Telus and Videotron would all participate in the program that provides eligible Canadians with 10Mbps download speeds, a monthly allotment 100GB of internet, free installation and a modem rental for $9.99 per month including taxes. Rogers is the first of Canada’s big three telecom service providers — a group that also includes Montreal-based Bell and Vancouver-based Telus — to publicly announce its participation in Connecting Families. Telus later published its own November 16th, 2018 media release acknowledging the telecom service provider’s participation in the Connecting Families program. “The internet opens up a world of possibilities that all Canadians should be able to access — it’s critical to our country’s success in today’s digital economy,” said Peter King, senior director of corporate social responsibility for Rogers Communications, in the same November 16th media release. Montreal-based regional service providers Videotron used a November 15th, 2018 media release to announce its involvement in ISED’s low-income broadband internet initiative. It’s worth noting that Rogers has a low-income broadband internet program of its own. Since then, Rogers has partnered with the London and Middlesex Housing Corporation (LMHC) in the London, Ontario area, as well as the Region of Waterloo to bring limited, low-cost broadband service to eligible homes. The telecom service provider announced plans to expand the Connected for Success program in April 2016, to connect approximately 150,000 households in Ontario, New Brunswick and Newfoundland. According to Rogers’ November 16th media release, the telecom currently partners with 280 housing organizations across Ontario, New Brunswick and Newfoundland, while more than 200,000 households are eligible for service. Telus’ ‘Internet for Good’ program launched in 2016 provides low-income families with 25Mbps download speeds and a monthly internet allotment of 300GB for $9.95 per month. Internet for Good currently provides approximately 33,000 low-income, single-parent families in British Columbia and Alberta with internet access. “Thousands of families immediately enrolled in Telus’ program, which validates its importance and reinforces that this is the right thing to do for Canadians,” said Darren Entwistle, president and CEO of Telus, in the same November 16th media release. Connecting Families is distinct from the Canadian Radio-television and Telecommunications Commission’s (CRTC) December 2016 internet-as-a-basic-service ruling, as well as the CRTC’s $750 million fund devoted to that decision. The Connecting Families program will be available between November 2018 and March 2022. MobileSyrup has reached out to Bell and Telus for comment. This story will be updated with a response. Update 16/11/2018 2:39pm ET: Bell and Telus spokespeople both confirmed via email that the telecom service providers are working with the federal government regarding the Connecting Families initiative. “Telus is expanding the reach of our Internet for Good program by participating in the Federal Government’s Connecting Families initiative, which got underway earlier this week,” said Telus. “Bell is pleased to partner with the federal government and other Canadian Internet service providers on the Connecting Families initiative to provide eligible customers with access to broadband Internet services,” said Bell. Update 16/11/2018 5:10pm ET: Telus has issued its own media release acknowledging its participation in the Connecting Families program. This story has been updated with additional reporting.